I was raised as a breakfast eater. Every morning before school when I was a kid, I ate breakfast – occasionally cereal with milk, often toast with cheese or peanut butter to add protein. But on important mornings, when I had a biology test, a school play performance, or the SAT’s, my mom made eggs. Scrambled, fried, in omelets, hard boiled. Eggs were my breakfast of champions. That’s why when Kitchen Play and the American Egg Board asked me to participate in their SideCar event about eggs for breakfast, I jumped at the chance. The American Egg Board is also sponsoring a great contest for those of my readers who write their own food blogs – scroll to the end of the post for details. I’m writing this post and creating this recipe as part of a partnership between Kitchen Play and The American Egg Board. They have compensated me for my time and cooking expenses but my opinions and tastes are my own. I only like to write about products I wholeheartedly endorse, but eggs and I go way back. I always keep a carton of eggs in the fridge, knowing that I can whip them into a quick meal or snack at any time of day, but eggs have a special place for breakfast. And they really are a healthy breakfast food. In addition to having 6 grams of satisfying protein, a new USDA study shows that they are a terrific source for naturally occurring Vitamin D, which experts are beginning to say plays a larger role in health than we had originally suspected. Eggs have always gotten a bad rap for being a high cholesterol food, but that same study shows that eggs have cholesterol levels 14% lower than previously recorded, based on a random nationwide sample of large sized eggs. 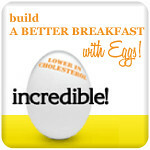 An egg a day fits well within the recommended levels of daily cholesterol intake. So go ahead and enjoy your egg and ace your SAT’s. In coming up with a breakfast recipe for eggs, I was inspired by the weekly brunches I used to eat when I was young and fancy free living in New York. My go-to brunch order was always eggs Florentine – poached eggs atop English muffins and sautéed spinach, topped with luscious hollandaise sauce. I wanted to create a version that was more rustic, and felt more fresh, so I turned to my vegetable love – Tuscan kale. Adding the dark green kale (also called Lacinato Kale or Dinosaur kale) is a great way to make your eggs even healthier. Of course, the dish must be topped with a hollandaise (this one a foolproof version made with balsamic vinegar), and the grilled country style bread is hearty enough to stand up to all the flavors and textures of this dish, as well as soak up the sauce (also made with eggs) and the yolk from the poached eggs. This goes outside the city limits of Egg Florentine for a wilder Eggs Toscana. (For a lighter breakfast, you can replace the hollandaise sauce with a sprinkle of balsamic vinegar, but for an indulgent brunch dish, nothing beats a sauce made with egg yolks and butter) I suggest making this in the order I’ve set out here. 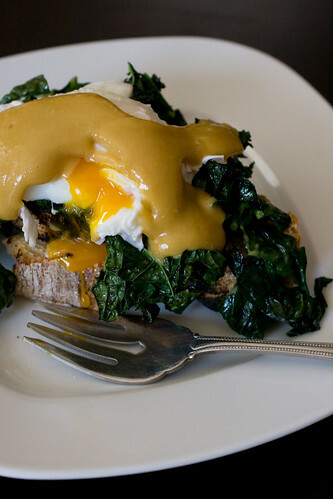 The kale can hold, the sauce should be warm, but the eggs must be poached just before serving. Wash and remove the stems from the kale, and cut into ½ inch thick ribbons. In a large skillet, heat the olive oil, add the kale, the garlic and the salt, and sauté over medium high heat until the kale has wilted. Lightly grill the slices of bread over the open flame of a gas burner, to char the edges slightly. If you don’t have a gas burner, the slices can be toasted. In a small saucepan over low heat, whisk together the egg yolks and the water. Add the butter, 1 tablespoon at a time, whisking to incorporate each piece, and adding the next as soon as the first piece melts. When all the butter has been incorporated and the sauce has thickened, add the vinegar and salt to taste. For each plate, top a slice of bread with kale, and have ready for the just poached eggs. In a shallow saucepan, bring water, a pinch of salt, and about 2 teaspoons vinegar to a boil. Lower the heat so the water is simmering. Break each egg into a cup, then add your eggs, one at a time. Immediately after adding each egg, use a spoon to organize the white so it coalesces around the yolk by nudging it in place (this won’t be perfect – that’s OK). You can cook all 4 eggs in the same saucepan, but they have to be added and organized one at a time. 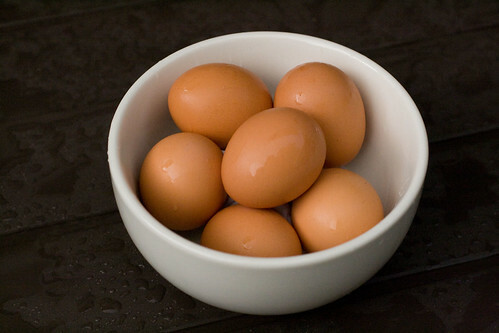 Cook about 1 ½ minutes – until the white is just set (I usually eyeball this – if you mess it up, eggs are inexpensive!) and remove from the water with a slotted spoon. Let as much water drain through your spoon as possible, then gently place your poached egg onto the kale topped bread. Repeat with your other eggs, spoon sauce over, and enjoy! Write and publish an original post discussing the new study which shows that eggs are lower in cholesterol, and how this news affects the way you cook with eggs. (must include mention and links to Kitchen Play and the American Egg Board as well). To be entered in the giveaway, you must leave a link on the Kitchen Play post for this SideCar event (link available here) containing the specific link back to your qualifying entry and must reside in the US. Please refer to Kitchen Play for complete rules. 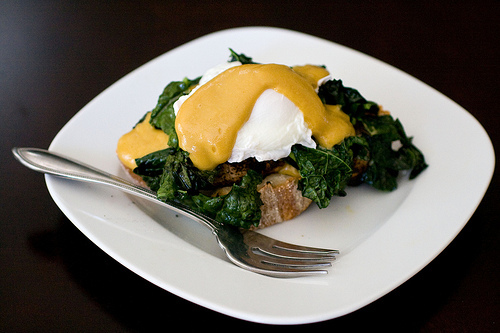 Love your spin on Eggs Florentine, as I prefer kale to spinach any day! What a fantastic hollandaise recipe, too. Now I have no excuse not to add that to my repertoire. Thanks for your wonderful work to promote the incredible egg! I love your memory of havings eggs for breakfast on big days. The rule in our house was that Dad made you scrambled eggs with cheese (our favorite) if you had a game that afternoon: field hockey for me; baseball for my brother. Mmmmm, I’m just sitting here thinking about the contrast between the cream poached egg yolk against that dark beautiful green kale . . . it sounds DIVINE! Kate I absolutely love this version of eggs florentine. Beautiful photo too. I might have to make this on our long weekend this Sunday! Looks really yummy, perfect for a good start! I love eggs, especially for breakfast, even though I am way past my taking my SATS! Thanks for the recipe and for the info about the contest! I’ll go over and check it out!